The Hollywood Reporter has confirmed Les Stroud, host of the Science Channel's Survivorman series, will have two upcoming specials. The specials are titled Survivorman & Son and Survivorman: Bigfoot Sasquatch Territory, they are set to debut in the first-quarter 2014. Below you can read excerpts from the Hollywood Reporter regarding details on the Bigfoot special. In Bigfoot Sasquatch Territory, a two-part special, Stroud goes deep into the territory of the infamous Bigfoot to survive with few supplies and even fewer rations, "smack dab in the middle of the monster’s hotspots." He also will delve into the truth behind the legend as he investigates the whereabouts of this infamous creature. The Hollywood Reporter leaves it at that. 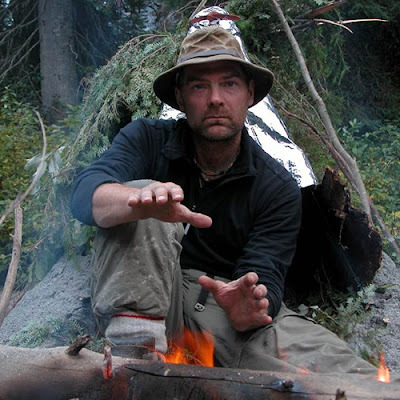 you can read about the second special Survivorman & Son in the same article. Watch Les Stroud talk about his Bigfoot encounters below.